SUZOHAPP operates in the global gaming, amusement, vending, industrial, transportation, and retail markets by serving entertainment venue operators and original equipment manufacturers. 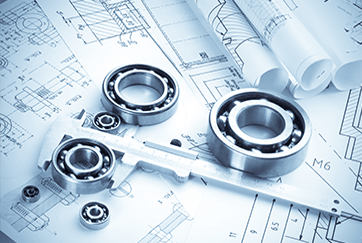 We provide a wide variety of components, consumables and hardware products and provides marketing, engineering, design and technical repair services. Our product lines include coin and currency handling equipment, display solutions, control devices, game operation components, environmental products and consumables. SUZOHAPP's 700+ employees serve more than 25,000 customers worldwide. SUZOHAPP has manufacturing, engineering, distribution and service capabilities in 14 countries globally. SUZOHAPP Holland (formerly SUZO International), founded in Rotterdam in 1955, supplies systems and components for the amusement, gaming, casino, and vending industries, as well as money processing machines and banknote readers. Former SUZO locations that are now part of SUZOHAPPare located in Germany, Poland, Spain and the United Kingdom. SUZOHAPP serves customers in over 80 different countries and has achieved a reputation for providing exceptional customer service. In 2010, SUZOHAPP Holland celebrated 55 years of serving the gaming, casino, amusement and vending industries. SUZOHAPP prides itself on being a historically rich company with a sound vision of the future. Core products include coin hoppers, pushbuttons, tower lights, topper boxes and handle mechanisms. SUZOHAPP North America (formerly Happ Controls) was founded in 1986 and is headquartered in Mount Prospect, IL. The company has additional distribution centers in Las Vegas, NV. The company specializes in the manufacturing and distribution of amusement, gaming, vending and industrial parts and accessories. Happ Controls was founded by Frank Happ, who purchased what had become a diversified parts supply business from U.K.-based Coin Controls. In 1998, the company expanded into the distribution of parts and supplies for gaming machines. Happ soon became a leading supplier to the industry. SUZOHAPP North America’s core products include LCD monitors, pushbuttons, topper boxes, touch screens, trackballs, guns, driving controls, joysticks, power supplies and bill validators. The Company focus has been to aggressively expand our sales staff and product lines to better serve the needs of its gaming, amusement, vending and industrial component customers. Happ opens branch office in the United Kingdom Happ acquires PARTSTAR division of Carlton Bates Corp.